Huy P. Phan is a Professor in Learning and Teaching at UNE’s School of Education (Teaching & Learning). The Framework of Achievement Bests (e.g., Phan & Ngu, 2017a; Phan, Ngu, & Yeung, 2017), which enables focuses on the achievement of optimal best practice and a state of flourishing. A Holistic Model of Mindfulness (Phan & Ngu, 2019; Phan et al., 2019), which takes into consideration Eastern ethos, knowledge, and philosophy. The concept of Energy, which may help to explain the intricacy of the process of optimization (Phan et al., 2019). Proposition of a Multi-time series, Multi-group Single-case Experimental Design (Phan & Ngu, 2017b) for usage in social sciences research. Thee paradigm of Holistic Psychology, which advances existing theoretical tenets of Positive Psychology. Huy is active in his research development and appears on different editorial boards of international journals in Education and Psychology. 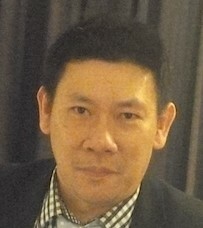 Aside from his research interests, Huy is also extremely well-versed in curriculum development and has, to date, developed a number of degree programs – for example: the Bachelor of Education (K – 12), the Bachelor of Educational Studies, and the Bachelor of Education (In-Service Conversion). Phan, H. P. (2015). The essentialness of hope: Reflection, articulation and anticipation. In L. Bormans (Ed. ), The world book of hope (pp. 270-272). Tielt, Belgium: Lannoo Publishers. Phan, H. P., & Ngu, B. H. (2019). Expanding on the theoretical concept of ‘Optimization’ for effective learning: Establishing empirical evidence from an Eastern sociocultural context. In A. D. Liem & T. S. Hong (Eds. ), Student motivation, engagement, and growth: Asian insights. Singapore: Routledge. Phan, H. P., & Ngu, B. H. (2019). Teaching, Learning and Psychology. Docklands, Melbourne: Oxford University Press.